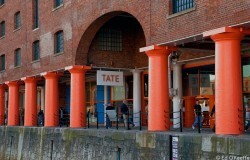 The Tate Liverpool Gallery is residence to the National Collection of Modern Art in the North and has become a popular venue for major exhibitions of international modern art. The collections are ever changing and feature the works of legendary artists such as Andy Warhol, Salvador Dali and many more. The Gallery offers a range of special events and children’s programmes and is suitable for all the family. The cafe overlooks fabulous views across the Albert Dock and serves fresh, locally sourced home-made meals with a healthy kids menu available. It is a 15 minute walk from the apartment (10 minutes in a taxi) and is located in the eminent Albert Dock.